A young Shannen Doherty arrives in Hawaii in this week’s installment. She plays Ima, daughter of Leon Platt (Denny Miller) in A Sense of Doubt which was written by Jay Huguely and aired 1 December, 1983. 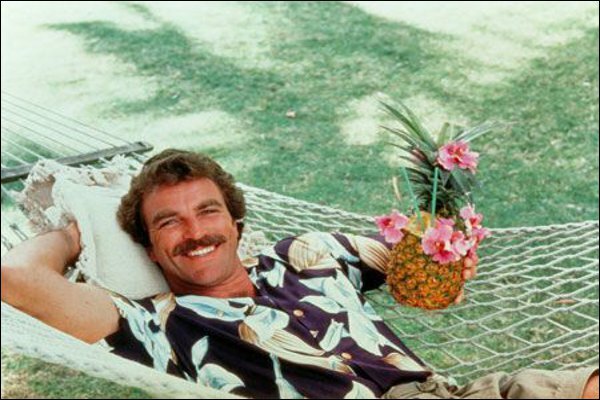 Thomas (Tom Selleck) after some persuading of T.C. (Roger E. Mosley) is off to Detroit to recover some money for his friend, and hopefully taken in the 10 home games of the Tigers that are coming up. To make sure Thomas doesn’t take advantage of the situation, T.C. demands the use of the Ferrari for the time Magnum is away… and promptly gets involved in an accident, that sees him hurting Leon. Leon and his daughter are in the islands because he is a bare-knuckle fighter making the circuit and hoping to make enough dough to open his BBQ restaurant again, but his promoter has him signed to a deal that won’t let him claim his cash until he’s won all of his matches, including one wherein he will have to take on all comers. Now that T.C. has injured Leon’s arm, he can’t fight, and they look to be on the verge of destitution, but a familiar tattoo on Platt’s arm motivates T.C. to take to the ring, with Rick (Larry Manetti) at his side as coach. But will he be able to take on all comers, especially after going 10 rounds with Condley Willard (Donald Gibb)? Higgins (John Hillerman) summons Magnum home, worrying about T.C., but will Thomas arrive in time, and will he be able to get his friend out of the ring before he’s beaten to a pulp? In The Look, which was written by Louis F. Vipperman, and aired on 8 December, 1983, a radio persona, Holly Fox from the Vietnam war, shows up in Hawaii as Holly Hudson (Gretchen Corbett), though no one believes Magnum at first when he points it out. During the war, everyone had a picture on their head of what Holly Fox looked like, and countless men were in love with the voice. On a dare from Rick, and T.C. 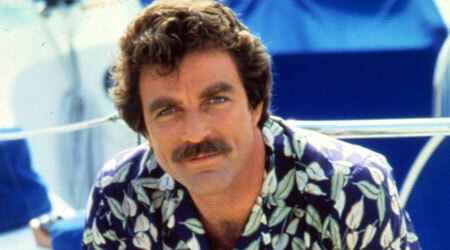 who are helping Thomas build something on the estate for Higgins, Magnum drives out to the radio station to confirm his belief that they are two and the same. What he finds is a woman embroiled in serious trouble; she’s been receiving death threats on the air, and Thomas, of course, wants to help anyway he can. The boys are all eager to meet her, and each get The Look, when they realize that the person they imagined Holly being isn’t the person in front of them. Holly asks Magnum to find the only man she loved, whom she met while she was serving in Nam, Don Cassidy (Stephen Young), but as the hunt progresses, it begins to appear that there are ulterior motives for all parties involved, and may end horribly for more than one of them. It was fun to see Rick go to visit Maggie Poole (Jean Bruce Scott) to get information from her about Cassidy, while Thomas continues to work on the surprise for Higgins.